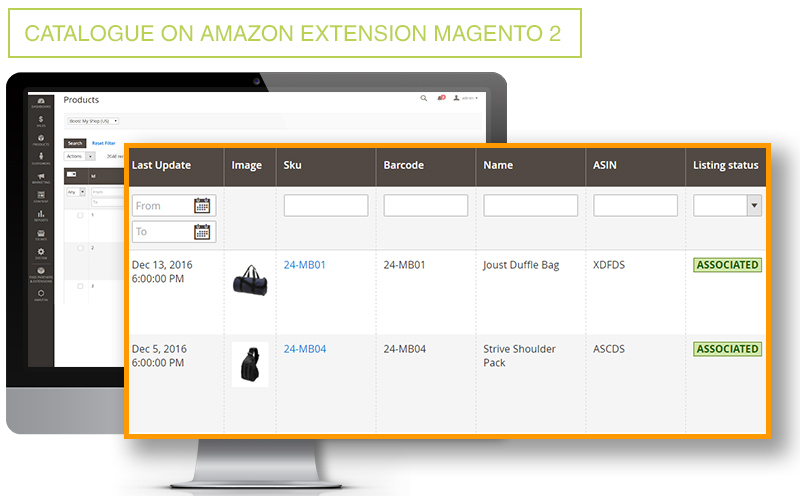 Connect Magento 2 Website to Amazon Marketplace with Amazon M2 Extension. ► Time Payment including Free Support. 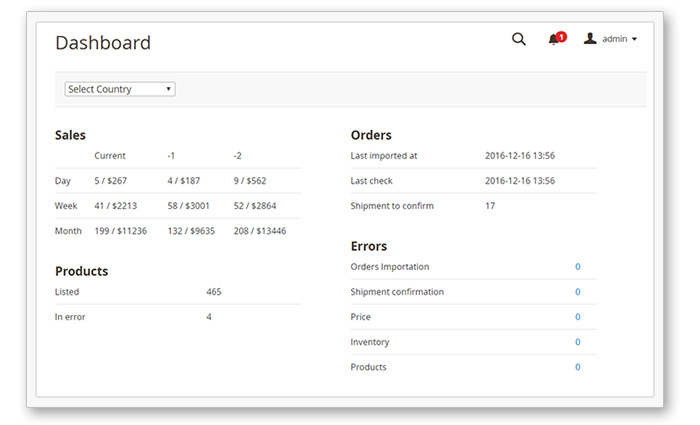 –	Fully integrated in Magento2. Amazon for Magento 2 works as a Magento Module which is installed directly onto your server. You do not have to use any web or third party services. – Highly configurable. The extension is a fully open resource which offers multiple set up options. – Multiple Amazon seller accounts / multiple countries. For Amazon Power Seller, you can have different Amazon seller accounts working with only one Amazon M2 Extension and/or sell in Multiple Countries using one seller account. Continuous updates from Magento to Amazon. Your stocks and prices will be constantly updated and synced. This is a flexible function, so you can set different selling prices on both Magento and Amazon. As soon as you get a new Amazon Order, all information will be downloaded to Magento. Proceed with the order as usual and as soon as you confirm the shipment, tracking information will be sent to Amazon. Amazon M2 Extension supports multiple Amazon seller accounts. Amazon M2 Extension can be configured individually by seller account and by country. All set up and configuration can be completed for each individual account. 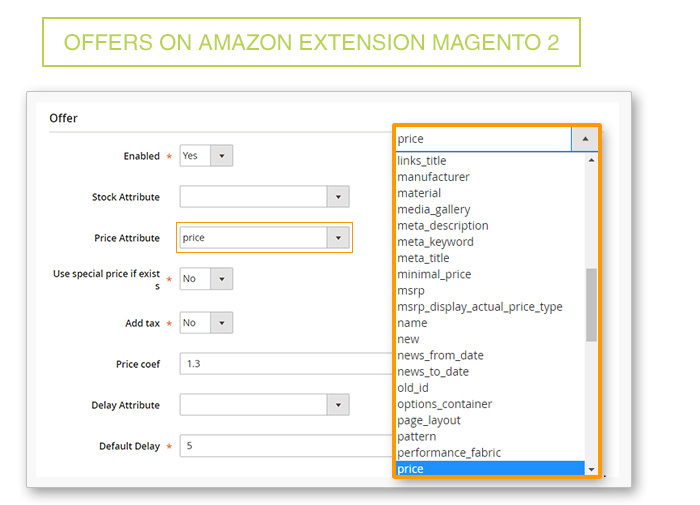 •	After first installation Amazon M2 Extension will download all products listed on your Amazon Seller accounts and sync them with your Magento products (Sku). You can use any product attribute possible for your Amazon account that is also possible for your Magento to do this. o From Magento to Amazon. Export product and automatically match products you want to sell on when UPC / EAN code exists on Amazon. • Stock and Price Update - Once a product has been listed, Amazon M2 Extension will automatically sync stocks and prices to both systems. o Configure the stock sent to Amazon using regular Magento stock OR a custom setting. • New customer orders placed on Amazon are automatically downloaded to Magento. 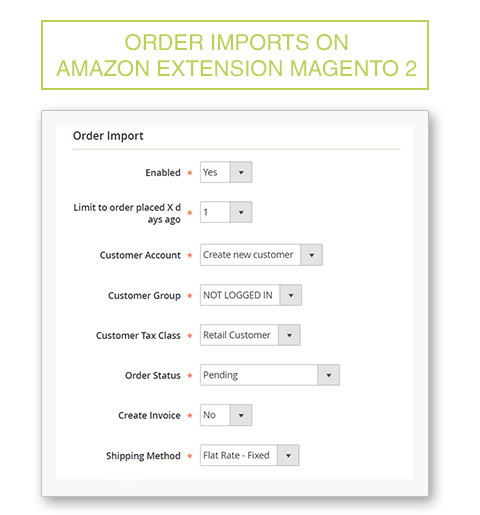 The Amazon M2 Extension will automatically create orders in guest mode or creates a new customer in Magento. 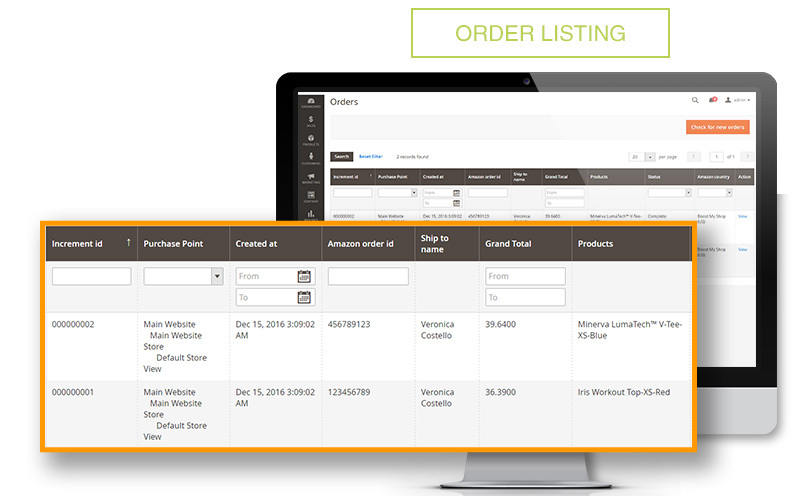 • Customer Invoices can be automatically created for each new order received from Amazon. You can select store, Order Status, Shipping and Payment Method. • Once the order is shipped in Magento, Amazon M2 extension automatically confirms the shipment to Amazon Marketplace and uploads the tracking number.